The Cannon Curl perfectly supports your elbows and enables you to keep the correct posture during curls. Users immediately notice proper bicep isolation when curling with the Cannon Curl. This tough bicep bomber now has a padded abdomen region in addition to elbow and neck pads (now thicker) for comfort, support, and stability. The Cannon Curl can be adjusted for individual users needs. 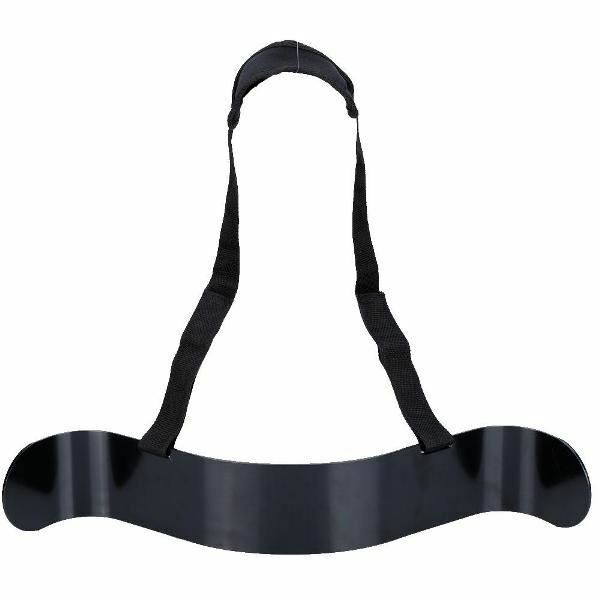 Adjustable belt made of heavy duty webbed nylon. The neck pad is made of neoprene.